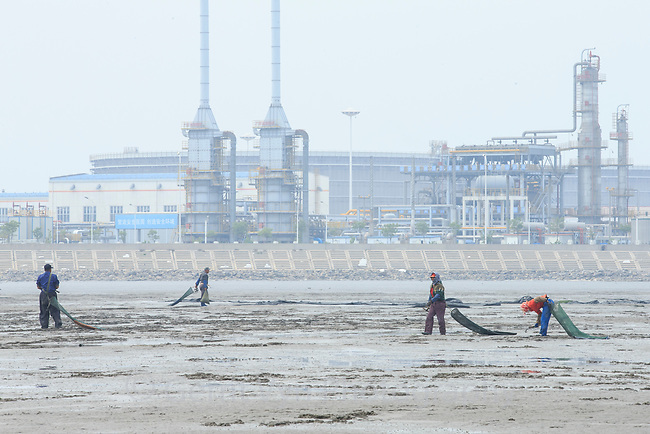 Shellfish harvesters on the mudflats at Bohai Bay, China. Besides being important to human livelihoods these mudflats are the primary migratory stopover location in the Yellow Sea for Red Knots migrating from New Zealand and Australia to the Rudssian Arctic. The mudflats are being quickly lost to development.